Input text: a white bird. 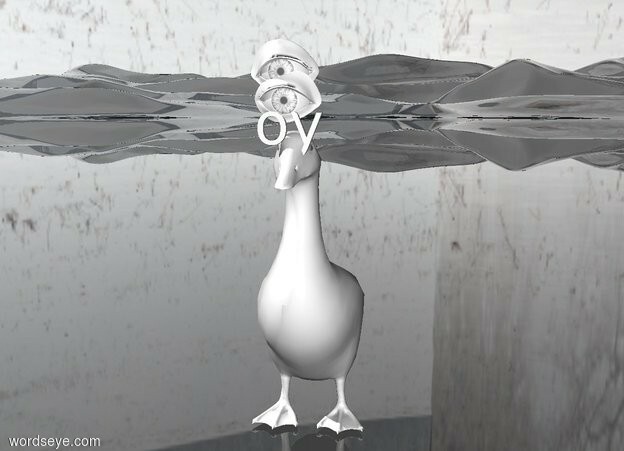 extremely tiny "oy" is -1 inches above the bird.the "oy" is -2 inches in front of the bird.a second snow eye is -.5 inches above the "oy". a third snow eye is -1 inches above the second eye. clear ground. [snow]sky.